Wialon local. In 2014 Gurtam we launched a new server solution — Wialon Local. The product has already gained popularity and found its place among Gurtam main solutions. GPS Trace. We greatly modified and improved GPS Trace. Now this free tracking service became even more functional and user-friendly. Wialon Hosting. We launched one global Wialon Hosting update and a whole range of smaller, but also important improvements. Wialon Hosting Lite. We showcased a simplified Wialon Hosting Lite interface, preserving only the most popular and commonly used features. GPS Tag. We unified GPS Tag free software tracker for all Wialon products. Today it is available in two versions for iOS and Android platforms. Training. 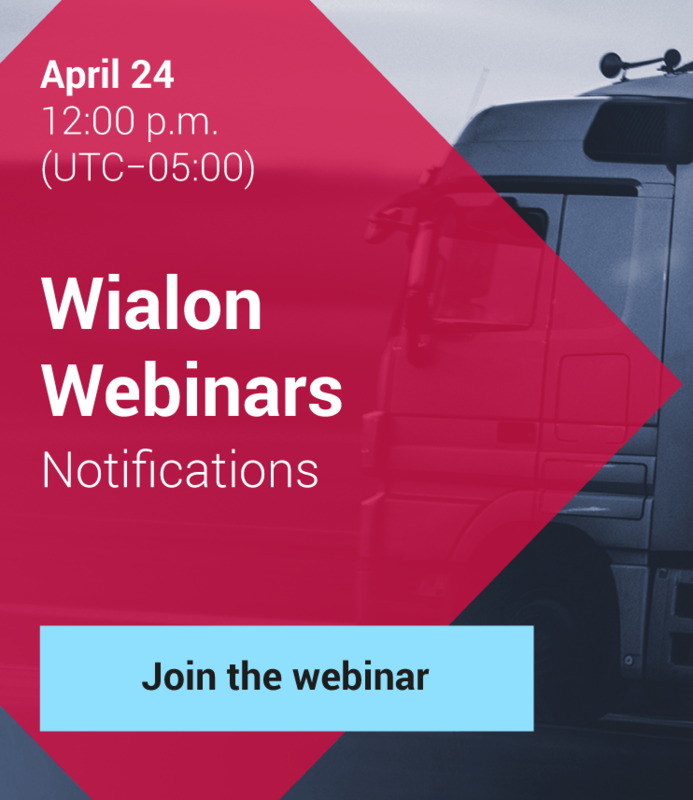 We started webinars and added the possibility for offline Wialon certification. Gurtam Maps. We updated our native Gurtam Maps cartographic service. The system is constantly filled up with new maps and actualized by our specialists. Other projects. We significantly modified and updated Gurtam forum and made it much more customized. Also we opened the first Satellite Technologies Museum in Minsk. In 2014 the range of free Wialon Apps has been enriched by new trendy applications: Dashboard, Sensolator, Protocoller. Our partners also put the most efforts and created various apps, perfectly working with Wialon and in some way, extending its functionality. We participate not only in different exhibitions and conferences, but regularly organize our own partner meetings. In 2014 we ran conferences in Russia, Germany, India, UAE and even in Tanzania at the top of Mount Kilimanjaro. And of course, don’t forget about the main event of the year — Gurtam partner conference «Telematics 2014. Minsk». 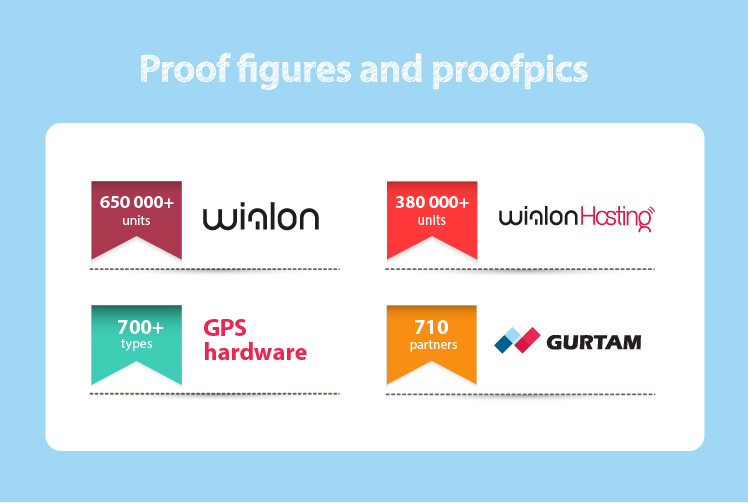 We have more than 650 000 unites tracked by Wialon and other Gurtam products all over the world. .
Wialon Hosting conquered another milestone in 300 000 units and is gradually reaching the mark 400 thousand. We continue supporting different types of GPS hardware. Today at gurtam.com you can find all the 730 types. 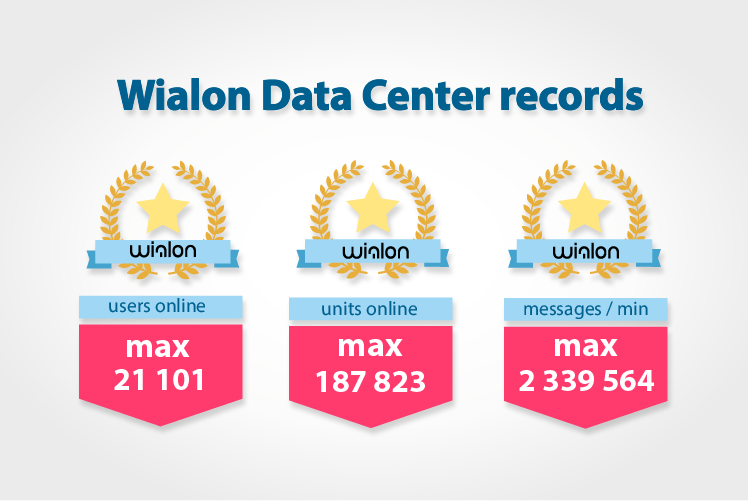 We hit records in Wialon Data Center: maximum users online — 21 101; maximum units online 187 823; maximum messages per minute — 2 339 564. Wialon community also increased: today 710 companies from different countries of the world use our products. We launched our own YouTube channel that regularly attracts new subscribers and is replenished by new training videos, helping to work with Wialon and other Gurtam products. During this year we added 36 videos, seen 15 018 times in total. More details about Gurtam 2014 read in our weblog. Right before New Year holidays Gurtam CEO Aliaksei Shchurko reminds: «It was extremely busy and important year for our company. We moved into a new wonderful office where everyone doubled their efforts and energy in filling Wialon with new functional capabilities. Personally I visited many new conferences and expos, where I managed to compare our company and product with those offered by large international companies. 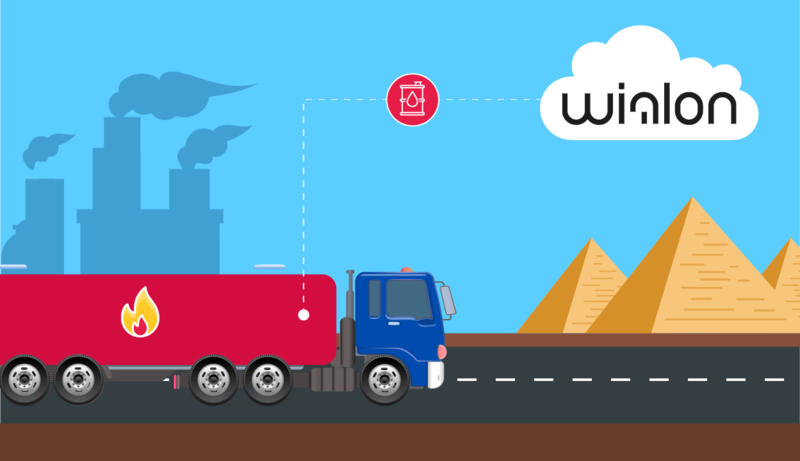 Though now as I see more and more similar patterns in other telematics products all over the world, I can definitely say that the business strategy, chosen for Wialon, is still unique. That’s all about Gurtam 2014. 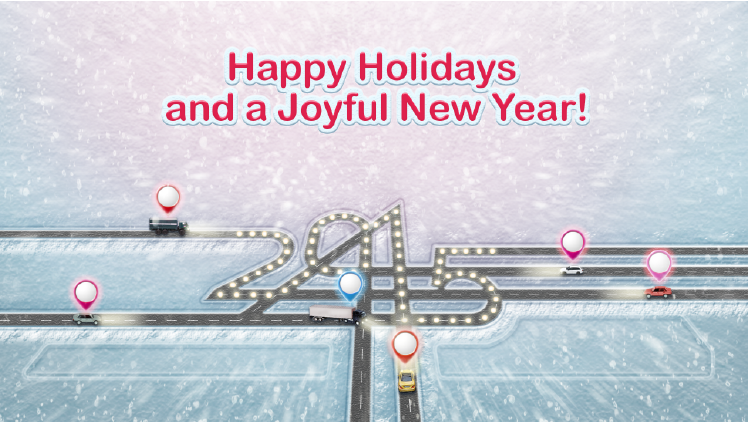 Happy Holidays and see you again in 2015!